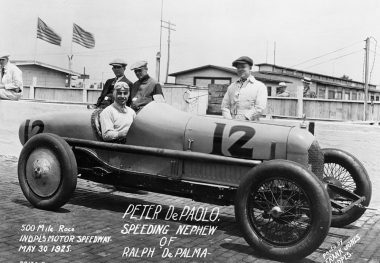 PETER DePAOLO joined his uncle, Ralph DePalma, as a riding mechanic immediately after World War I, sitting on the pole and leading the Indianapolis 500 with his uncle in 1920 and 1921 for 187 laps. He also rode to second place in the 1921 French Grand Prix at Le Mans. 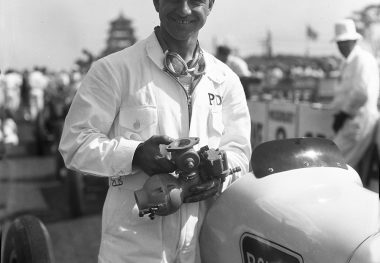 The following year DePaolo drove in the Indianapolis 500, becoming the first (and only) person to lead the Indianapolis 500 both as a riding mechanic and as a driver. 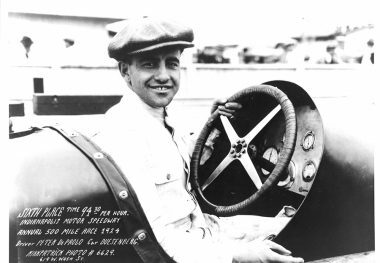 He joined Duesenberg’s “factory” team in 1924 and the following year became the first Indianapolis winner to exceed 100 miles per hour by averaging 101.13 miles per hour. 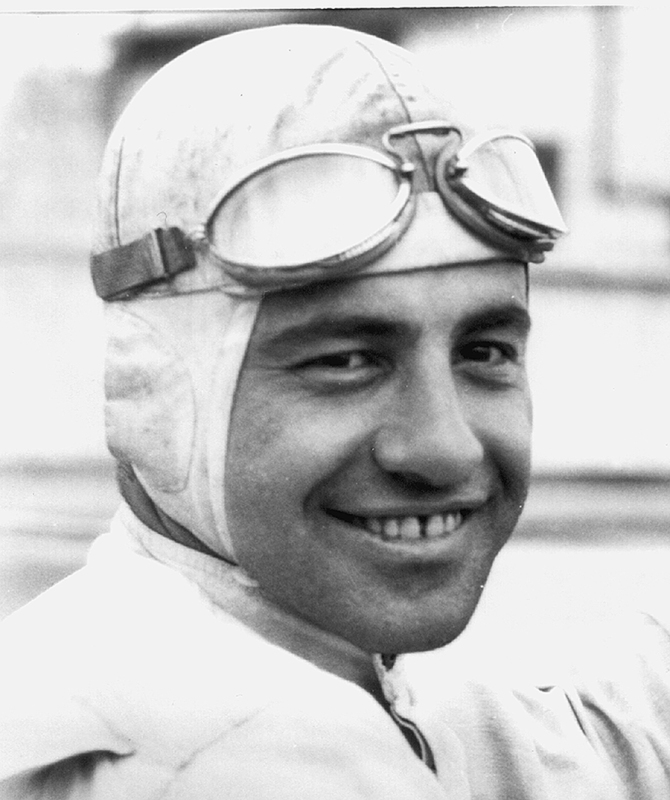 He won ten National Championship races from 1925 through 1927, principally on board tracks, winning the season’s championship in 1925 and 1927 and placing third in 1926. 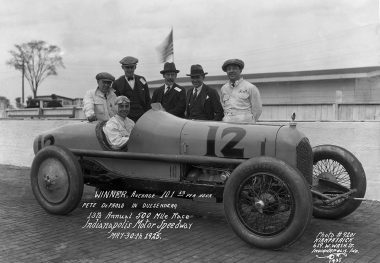 In 1925, he was invited to drive for Alfa Romeo in the Italian Grand Prix at Monza, where he ended up fifth after running second late in the contest. An outstanding ambassador for racing and an entertaining after-dinner speaker well into his 80s, he served in the United States Army with distinction during World War II, attaining the rank of lieutenant colonel.